to prepare today's students for tomorrow's careers. Happy Fall! The cool weather is finally here and in some places, our leaves are even starting to turn. While the holidays will be here before we know it, we have much to do before the year is over. My top “must do this year” item”? Take my nephew to every museum in DC. And travel to see and hear from more of you. I was thrilled to see long time friends of MAD-learn in Atlanta a couple weeks ago and hear their feedback, ideas, and invaluable input. Next stop, OH and NY! The feedback we receive from our MAD-teachers serves many purposes that benefit everyone. The questions you raise about instruction encourage us to re-examine resources to communicate ideas clearly. Your suggestions about how to make the curriculum more accessible to younger students led to a new, elementary level of the MAD-learn program. Your asks for more interactive elements drove the creation of the Custom Template and a tutorial about how to build in-app quizzes (see below). We built checklists for teachers and students and streamlined the design process. All of these improvements have been borne out of discussions we’ve had with our partners at schools throughout the country. The organic and agile nature of MAD-learn (albeit any technology tool of today) relies on the involvement and commitment on everyone’s part, from administrators to teachers and students. It is what helps make MAD-learn a unique and valuable tool, and we salute you for helping us grow! We look forward to working with all of our schools throughout the coming year! Shoshana Zallman has been globally aware since her earliest days, having been raised in several different countries, including Honduras, Panama, Nicaragua, Kenya, and the U.S. She appreciates the importance of cultural diversity and that young people need guidance, as well as the right tools, in dealing with the world around them. Shana began teaching the Digital Communications class at D.C.’s Janney Elementary in 2014. Prior to teaching Digital Communications, Ms. Zallman was a 2nd grade teacher for a long time. She says that her class is one in which, “we will explore how people use computers, cameras, and iPads to share what they know and what they learn with each other as well as others in the world.” What drives her is her commitment to help nurture thoughtful and careful users of our digital world. “Students will learn how to use different devices, but more importantly, they will put a lot of thought into what they want to share with others. They will be responsible users of the Internet, both to learn from and to teach others,’” adds Shana. MAD-learn is a key component in her 4th and 5th grade mobile app development classes. The picture below of her students working with MAD-learn sums up her achievements, and we are proud to be a part of her efforts! … joining us in celebrating this amazing team member and the 3 wonderful years he has been with MAD-learn! 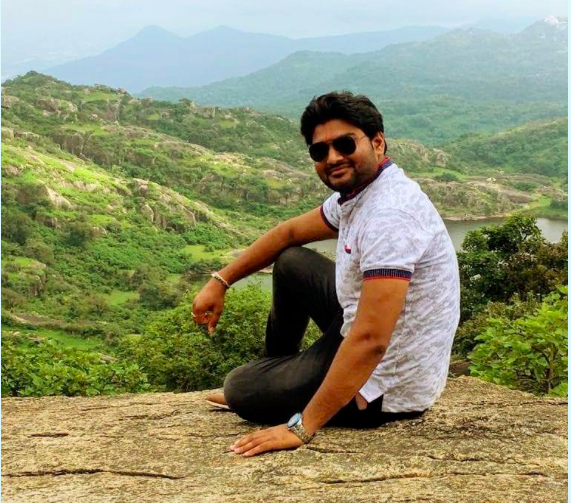 Bhupendra is one of our star Senior Software Engineers, loves travel and adventure sports, and never backs down from an adrenaline challenge. Happy 3-year anniversary Bhupendra! Here’s to many more years of creating magic together. delivered to your inbox on the 15th of every month. ©2018 MAD-learn®. All rights reserved. Pillar #3. 5 Years of MAD-learn. 5 Pivotal Moments. 5 years of MAD-learn. 5 pivotal moments. Here’s Pillar #2. © 2019 MAD-learn blog. Theme by Anders Norén.